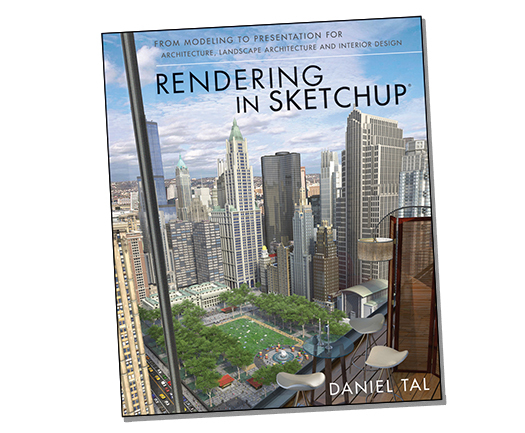 Several years after publishing his first book, SketchUp expert Daniel Tal has released a new title, Rendering in SketchUp, tackling the rather large topic of, well... rendering in SketchUp. 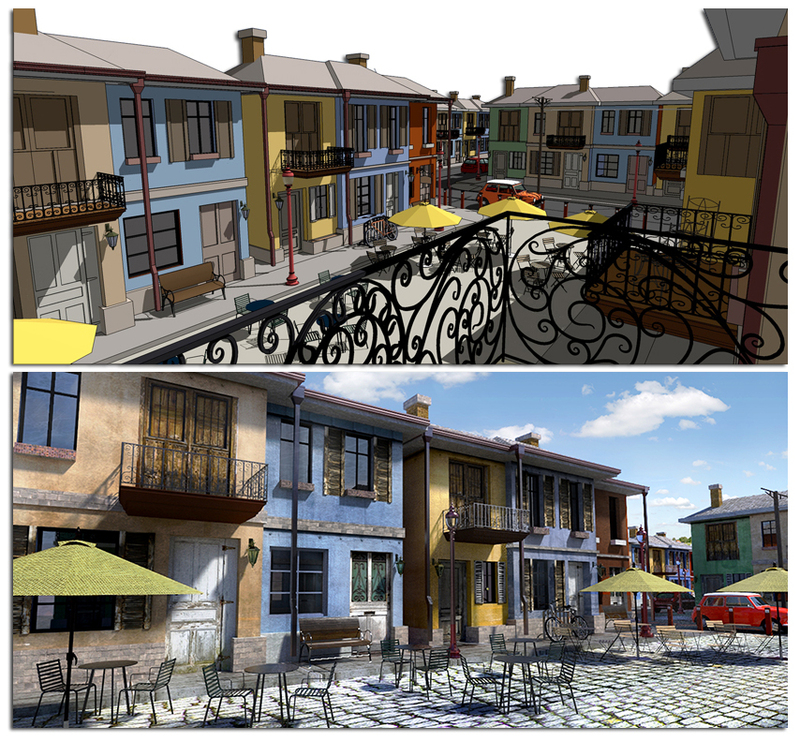 "Rendering in SketchUp: From Modeling to Presentation for Architecture, Landscape Architecture, and Interior Design." Say that three times fast. Rendering In SketchUp has a goal of being both a starter guide and a handy reference manual on rendering. At just over 640 pages, the book is accompanied by a website and free, downloadable ‘companion chapters.’ The full package comes in at about eight hundred pages. Who in their right mind would read so many pages (let alone write that much)? Well, rendering is a big deal to many SketchUp users, so it’s not surprising to find that some daring folks have already read through Daniel’s book in its entirety -- you can see the initial reviews on Amazon. What these readers found was an easy-to-use, beginner manual that also serves as a detailed reference guide for rendering. As one reviewer stated, you can jump in and out of the book as needed. It’s a true reference manual on how to turn SketchUp images into beautiful renderings, so it makes sense that the book is full of beautiful images, 650 of them in fact. Across textures, lighting methods, post production tips, specific render settings and broad concepts, Daniel's book covers all aspects of the rendering process. It even has a nifty chapter on simple but advanced detailing (don’t use that texture for the roof shingles, model them!). Rendering is a bulky topic, so a comprehensive guide like this one could be pretty overwhelming. Daniel, however, does a wonderful job of organizing his book, taking you through each step of the process in a logical fashion. Place textures, add detail, set lighting, apply rendering values to surfaces, render, and then post process the results. Does the book cover all of the rendering applications for SketchUp floating around the universe? If it did, the book would probably jump from weighing 2.8 pounds to 20. (As it is, you might find it handy to check out the Kindle edition). 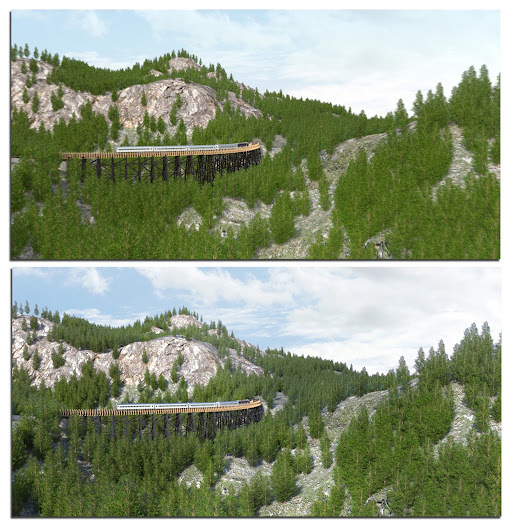 Instead, Rendering in SketchUp provides a universal approach that works with most (if not all) rendering programs. The book focuses on integrated rendering programs: rendering software that works within SketchUp. Daniel also provides provides specific chapters, overviews and settings for Shaderlight and Twilight Rendering software with a detailed inclusion of SU Podium. With this approach, you can apply Daniel’s methods across a healthy spread of rendering choices. So this book has it all, right? Well, rendering is a huge topic. Daniel is one of many experts with his own approach and opinion. 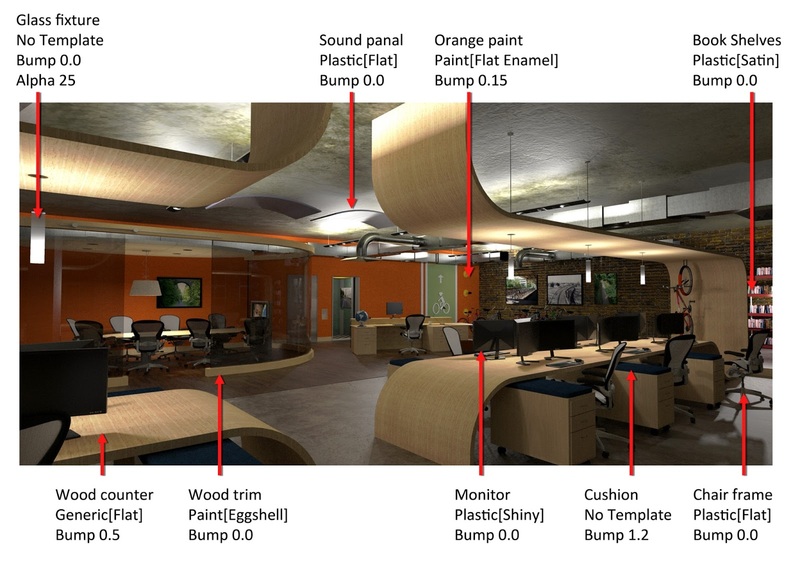 But if the task of turning SketchUp models into high quality images has always intimidated you, Rendering In SketchUp is not only a great starting point, but also a smart path to mastery. Learn more about Daniel’s universal approach to rendering in this in-depth webinar. Incredible how the SKP Team don't care about users. After 02 mounths without any blog post, you publish a useless post. The Sketchup is dead? Around the world, nobody develops new plugins and the users feel like a homeless or forgoten. Thanks a lot for you silence!! Hey, Petersen. The SketchUpdate is certainly supposed to be a place that SketchUp users can find relevant and helpful posts. 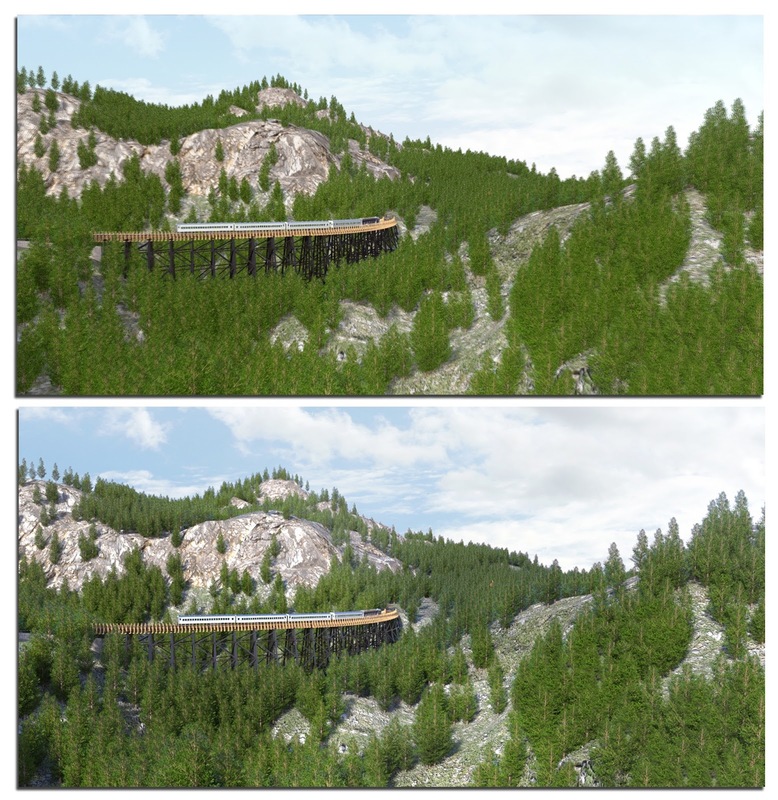 We know there are a ton of SketchUp modelers out there who spend a ton of time rendering their work. I do think that Daniel's book is useful for those folks. But what are some SketchUp topics that you'd like to see more of on this blog? Thanks for the feedback. Agree with Petersen. The lack of post have been frustrating, it was good to see how people are using Sketchup around the world and even what was happening with Sketchup team. It is sad to see that this has died now that Trimble have purchased the software. Would love to see regular updates with reviews on plug-ins, tips and tricks, and case studies. I don't think they are letting the product die at all. Today I was at a presentation in Argentina and they are even promoting the product by appointing a local distributor. Trimble also changed the logo and some product updates were released. Thanks James, but we losing time.